All of our welding engineers are certified to EN ISO 9606-1 2013 in both carbon and austenitic steels. We are also accredited to BS EN 1090-1:2009+A1:2011 and BS EN 1090-2:2008+A1:2011 EXC3. 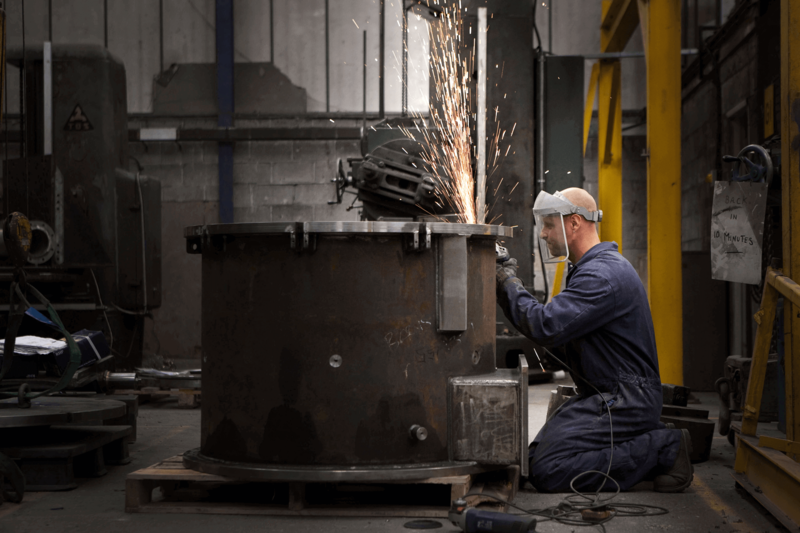 Our engineers are extremely experienced in complex forms of sheet metal work which means you can have confidence in their performance and their knowledge of the correct procedures. This confidence is shared by customers within the food and pharmaceutical sectors, maritime and off-shore, flood defence and renewable energy. 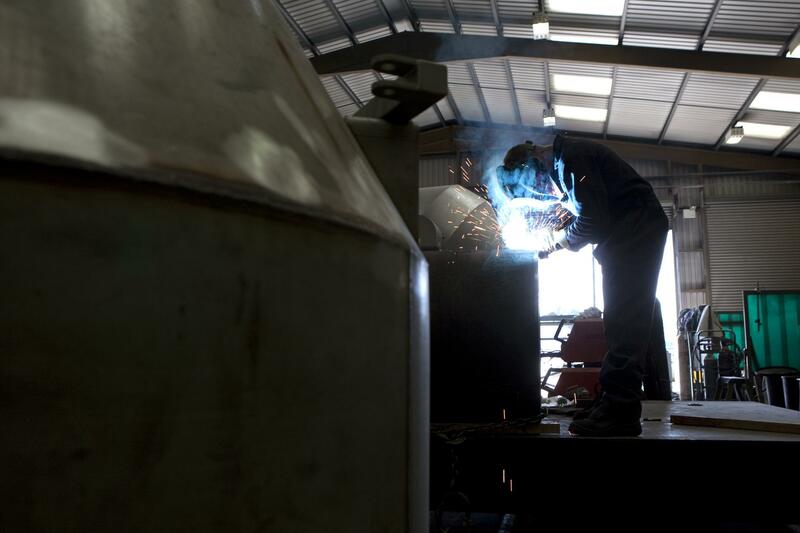 Our fabrication department is able to assemble products, ready for delivery. Alternatively, we can provide facilities for your own fitters to come into our premises and carry out the assembly on site. We have a wide range of metal cutting and forming machines, some of which are listed below. We have the necessary capacity to handle most fabrications, but if there is any doubt we will discuss the dimensions with you. For a list of our fabricating machines you can click on fabrication hall .